Mary Jane Higby was raised in Hollywood by her silent movie star father, Wilbur Higby. She appeared in a number of radio soap operas in Hollywood and New York. 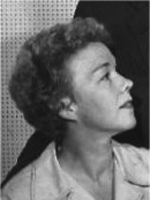 In addition to starring in 36 episodes of CBS Radio Mystery Theater, she wrote five episodes.